Saks Fifth Avenue offers extra 10% off S'well water bottle purchase via coupon code 10PERCENT . S'well Triple-Walled Stainless Steel Water Bottle/17 oz. S'well Textile Water Bottle/17 oz. S'well Destination Stainless Steel Water Bottle/17 oz. S'well - Bite Stainless Steel Water Bottle/17 oz. S'well - Triple-Walled Stainless Steel Water Bottle/25 oz. S'well - Smokey Quartz Stainless Steel Reusable Water Bottle/17 oz. 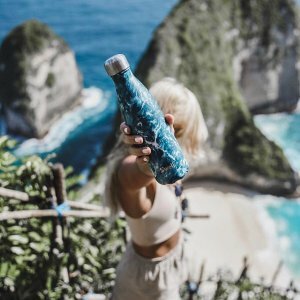 S'well - Offshore Coastal Water Bottle/17 oz. S'well - Destination Collection Stainless Steel Water Bottle/17oz. S'well - Gold Water Bottle/17 oz. S'well - Liberty Betsy Ann Water Bottle/17 Oz.